IP is on the mind for growing manufacturers and exporters in Canada – This week I spoke at the CME-STEP Export Insight series where I focused IAM and IP Monetization. The Canadian Manufacturers & Exporters (CME) and the Saskatchewan Trade & Export Partnership (STEP), in collaboration with HSBC Bank Canada, brings together senior business leaders from throughout the province for intimate, high-impact, and executive-level discussions, aimed at providing the knowledge necessary to compete and win in global markets. The CME-STEP leadership had identified IAM as a critical topic for membership and had asked me to speak on the IP strategy based steps a company needs to have as a foundation for successful and applicable patents in a license program. My thanks to HSBC for sponsoring the event, as well as CME, STEP, and their membership for inviting me to speak. As North America recovers from the 2008 recession, emerging trends in technology commercialization include significant changes in the ways that research institutions,companies, and services providers engage, interact and collaborate. Large corporations from across many industry sectors have significantly downsized their internal research activities while increasing their focus on acquiring IP from external sources and financially supporting selected institutional research programs. Research institutions are moving away from their traditional approaches to protecting and disclosing innovations and industry engagement. Non-practicing entities (formerly referred to as “patent trolls”) have emerged as significant players in the acquisition and deployment of commercially useful intellectual property. The role of service providers to both sectors are evolving from only the protection of IP, to include counsel for strategic IP deployment, acquisition, and divestments. In recent years, the focus of courts on patentable subject matter has generally been in the biotech area – Mayo and Prometheus come to mind. However, protecting information technology has also become a veritable minefield, with courts in both Canada and the United States struggling to define what is patentable subject matter in the IT field. This seminar will address the difficult task of how best to claim, prosecute and manage IT patents throughout their life cycle. Many thanks to the ACCT, the speakers, and my c0-panel members on both discussions. 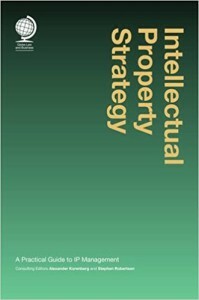 I presented this week on the topic of Patent Strategy for Startups and Early Stage Ventures. We spent a short time talking about IP from the business side, specifically why early stage ventures need to consider IP at their incubation stage, and then some practical tools on timing and planning to think about. There is always plenty of discussion when it comes to this topic, particularly when startups are faced with budget, market and resource restrictions. Throw in the pro-patent lobbyist and the open-innovation champions and it becomes even more confusing to workout what the right direction should be for your venture. Whatever the decision, not everything can be done to cover IP or reduce the business risk that comes with it. However when it comes to IP it is always easier to decide NOT to do it at this stage of the venture due to resources, then wait until it was too late and wish you had at least made that “no” decision – at the very least when saying “no” it gives the options to plan for the future implications of that choice. 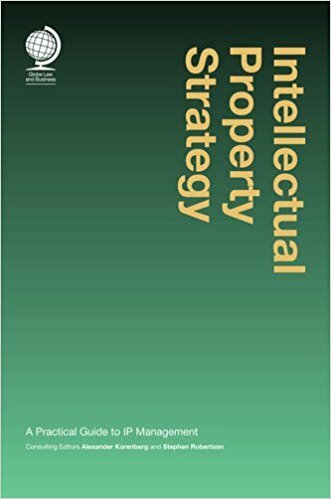 Sometimes the best IP Strategy plan is to say ‘we have no plan to file any patents,’ but then as a result ensure we are prepared in other ways to address the business issues that come with this decision. I will do a follow-up post in the next few weeks on IP for Startups, and give some additional details on pitfalls and success points for new ventures. I have attached the slides below. Feel free to reach out if you want to get more details.